Technology and Dads don't go hand-in-hand. Similar is the case with the humor. 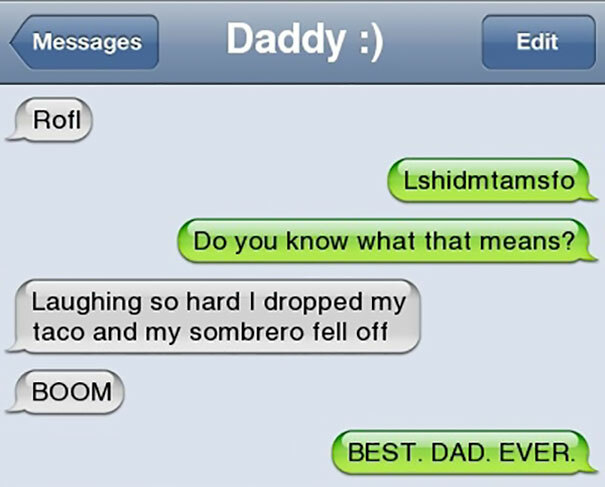 Dads sometimes have an extremely bad humor, which without any doubt can piss you off, Right? But, here are some dads, who have a really good humor . Read more to find such text fails. 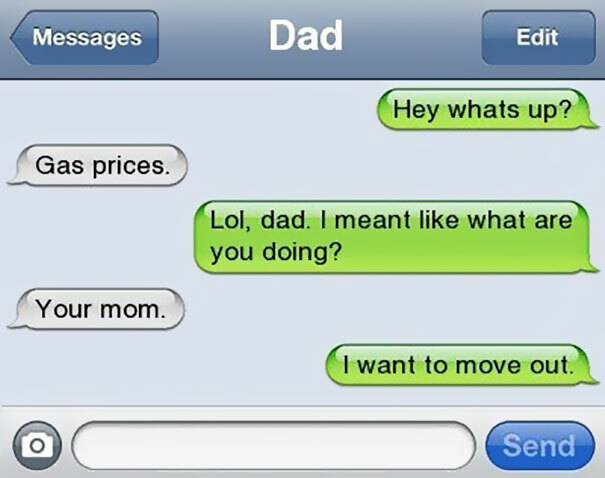 So, what will be your reply when you are in the similar situation and your dad gives this witty reply? But, yes! We do agree with the point! 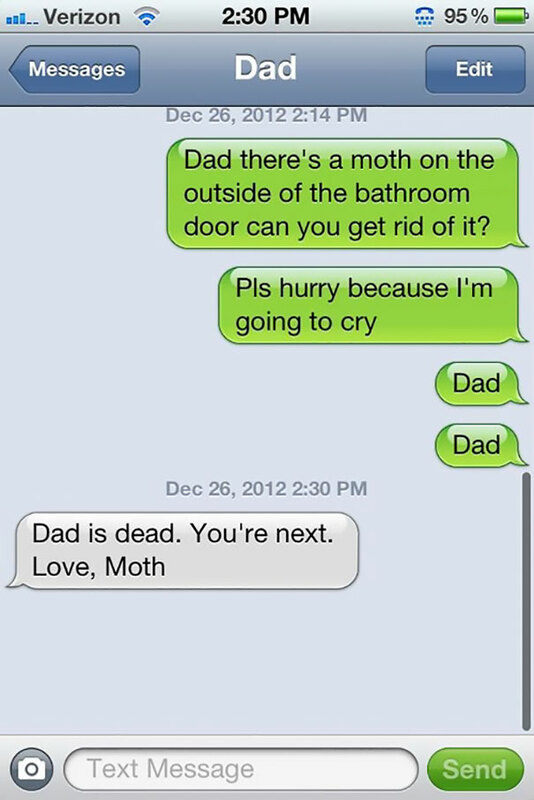 What if the message was written by an actual Moth? 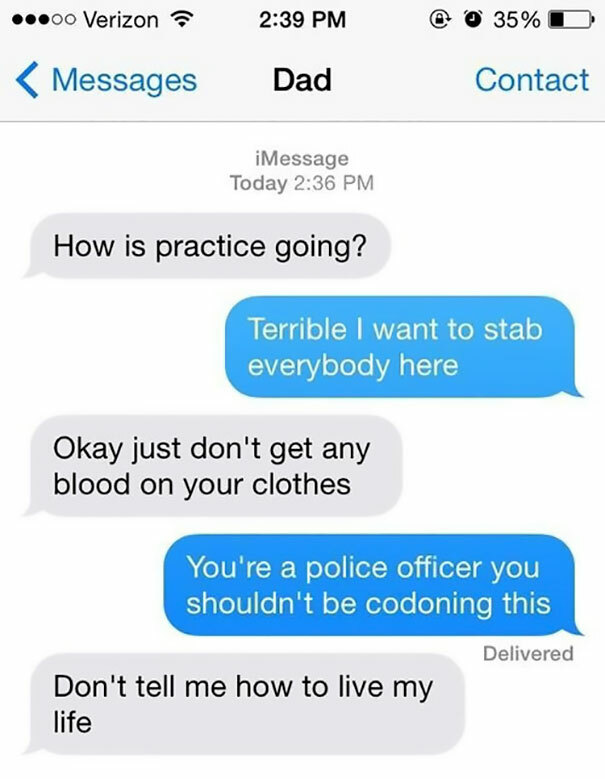 Dad got no chill! This dad should have got awarded as a ‘Best dad ever’. Isn’t this quite amazing? Who is the child trying to explain? 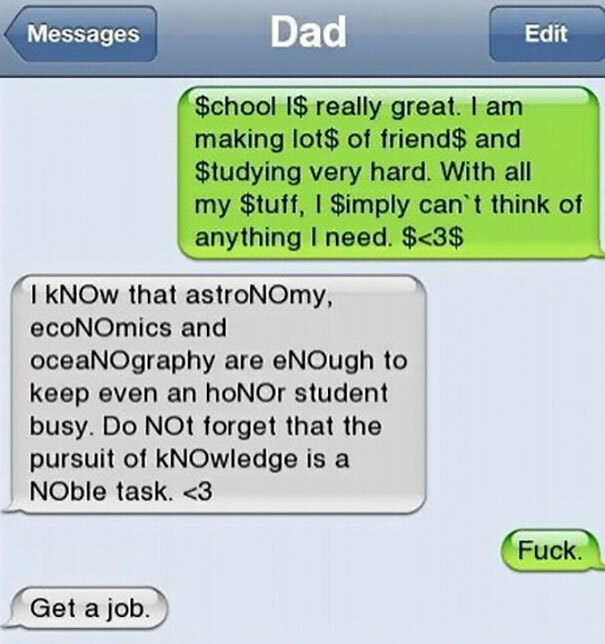 He is a super dad, who has an ocean of knowledge! But the reply though! Genius in the genes! When you mess with a cop! 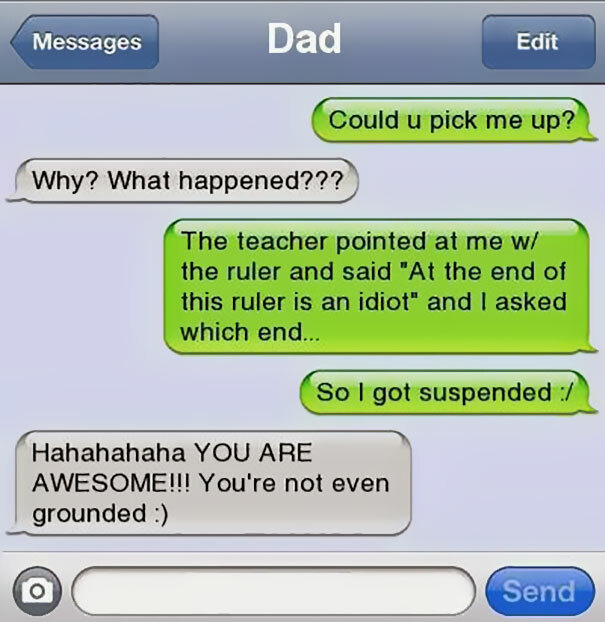 Oops, dad! When you thought he just hates you! When you thought that you were the only child, who was hated by your dad – but, how about every child hated equally?! That must have sent a shiver down his spine! That must have sent a shiver down his spine. But, why was his mom checking Dad’s phone?